I am not sure where August went! And last week Wednesday I thought it was Thursday all day. And then, I thought it was 2013! Somehow, I woke up on the 1st of September not realizing August was done and dusted – which is why my In My Kitchen post is late. No excuse really. I usually work on it all month, but I did not one part of this post in August! Is this lovely pizza stone! I was convinced of its worth by Celia and it got used straight away. I have baked bread on it, made a few pizza’s and used it underneath a baking tin, and you can really tell the difference. 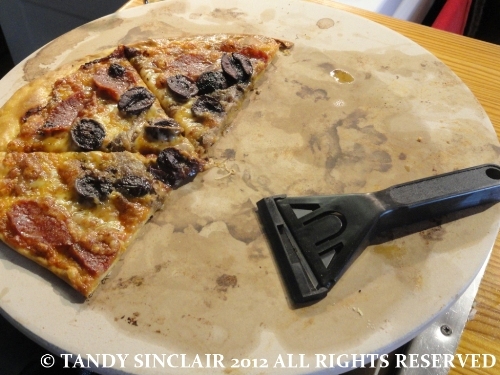 On top of the pizza stone is a glass scraper – this is a really cheap item that we sell, and it works amazingly well to clean the stone. 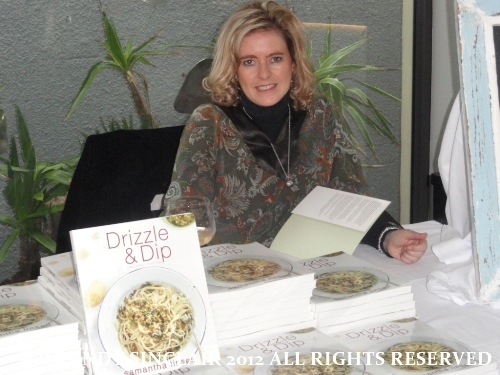 Is my own, signed copy of my friend Sam Linsell’s recipe book Drizzle and Dip. I will be reviewing it soon, but don’t wait for me to tell you what is in it. Go ahead and get a copy for yourself. 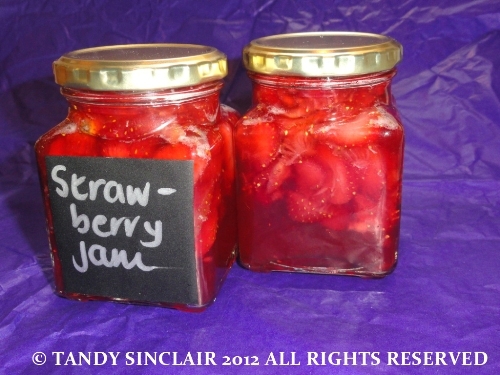 Is strawberry jam – made using fructose and apple pectin in my bread maker. For those of you who have a jam setting in your bread maker, I can highly recommend you use it. For this batch it came out of the bread maker perfectly. A little too sweet however as I did not add any citric acid or lemon juice! 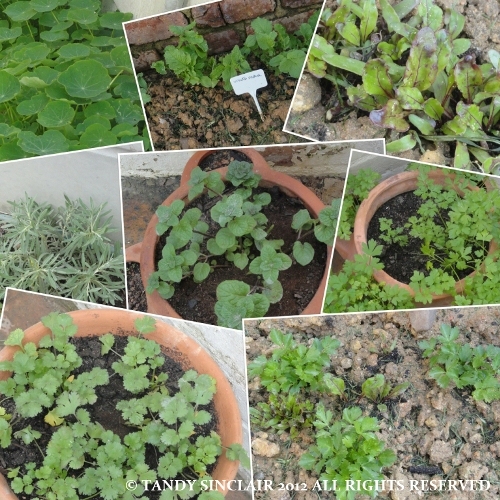 Are beetroot, celery, lambs lettuce, white radish, parsley, mint and coriander. Thanks to my blogging friends for all their inspiration! I did not know there were beetroot seeds lurking underneath the ground when I planted the celery! I have now bought some markers to show where the seeds are hidden! The carrot seeds are hopefully going to sprout soon. 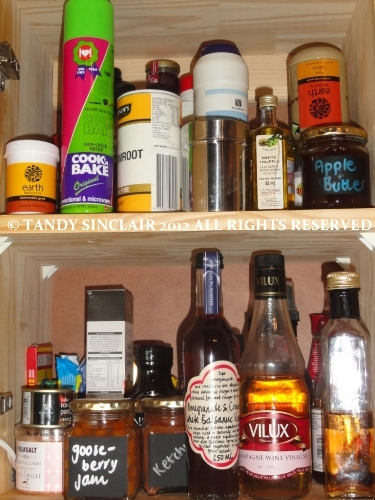 Is a view of my condiment cupboard. I resisted lining everything up (Sue, take note!) before taking my photo, and only three things are labelled. There is my apple butter which failed, gooseberry jam made with grape juice and tomato ketchup. Your jam looks amazing. I love a soft set jam, but I also love a jam with big hunks of fruit. I always thing your kitchen must be so comfortable. I love the pizza stone and admire that condiment cupboard! I like using a pizza stone, too- I keep it on the lower shelf all the time because when it is heated up it keeps the oven temperature stable and there are no cold “pockets”. I didn’t know breadmakers had a jelly setting either. I really like making and kneading bread so I’ve never invested in one. Your strawberry jelly is very pretty! Thanks again for sharing your kitchen! I didn’t realize bread makers had jam settings…maybe it’s time I purchase one! Hi Tandy, I love getting my cookbooks signed. I would be especially lovely if it was friend. Congratulations to your friend. That strawberry jam looks delicious. Love the pizza stone, I used to sell heaps of those when I co owned the cookware store! Love that you can get them in Aldi now for about $10 sometimes! Your collage of the garden is lovely! I always keep meaning to buy a pizza stone to get that super crispy pizza base 🙂 Nice new additions Tandy! 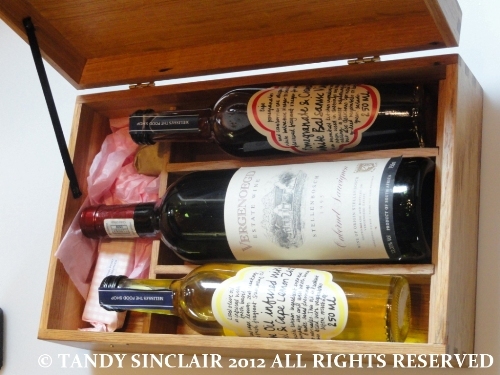 What a fabulous gift box you received Tandy!